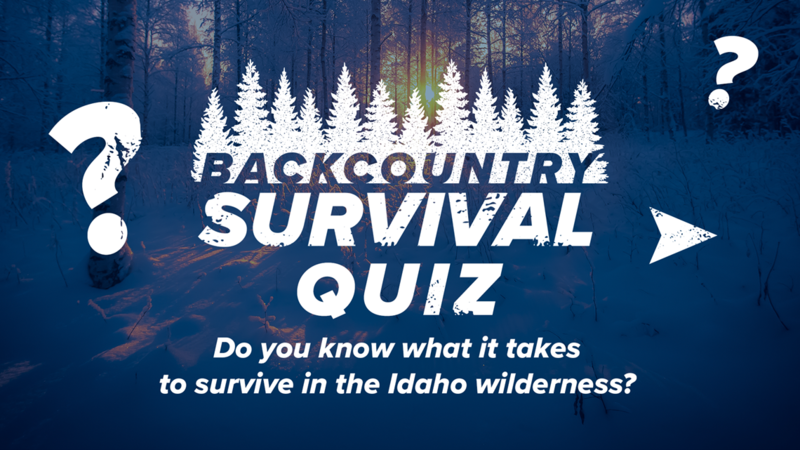 Could you survive a winter night in the Idaho backcountry? Test your knowledge, from how to start a fire, to what type of clothing you shouldn't wear or the single thing that could give you the biggest chance of survival. Click through the slideshow to see each question and answer. 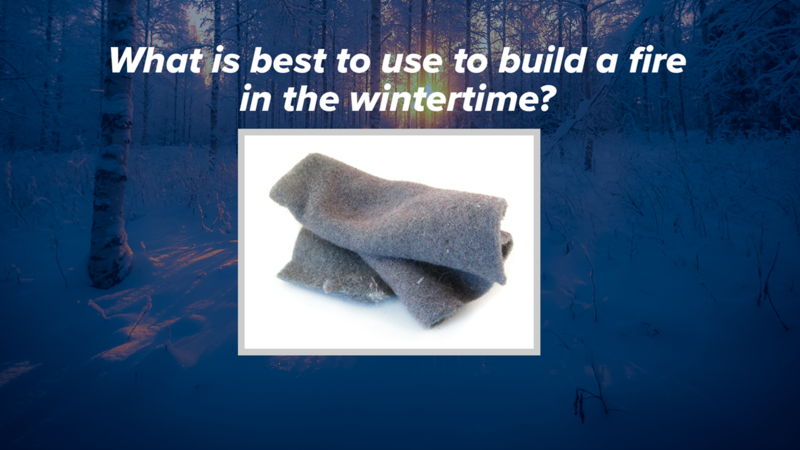 What is best to use to build a fire in the wintertime? 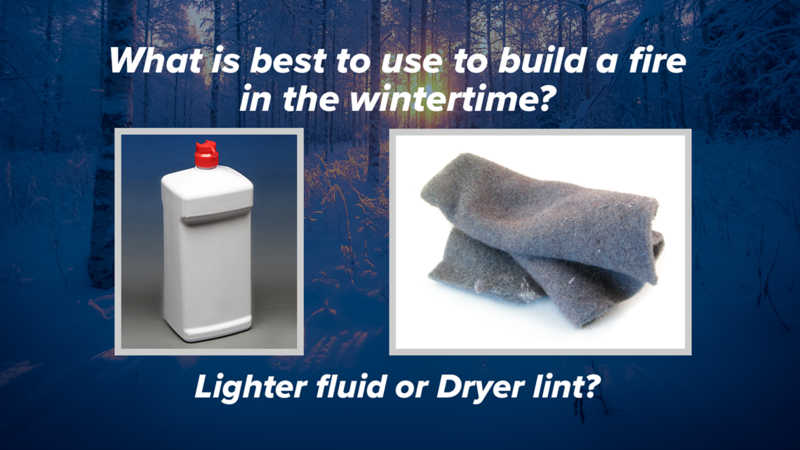 Lighter fluid or Dryer Lint? Click ahead to see the answer. Answer: Dryer lint. Why: Lighter fluid will turn to gel. Fun fact: Cotton balls covered in vaseline is another excellent thing to pack with you to start a fire. 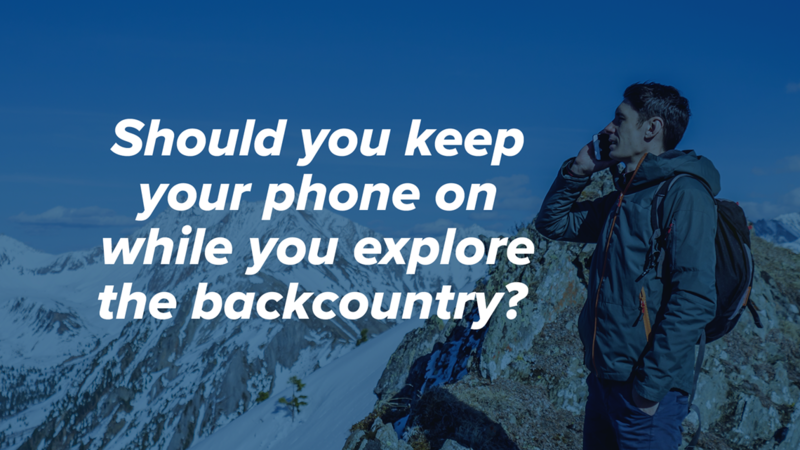 Should you keep your phone on while you explore the backcountry? Click ahead to see the answer. Answer: No. No. 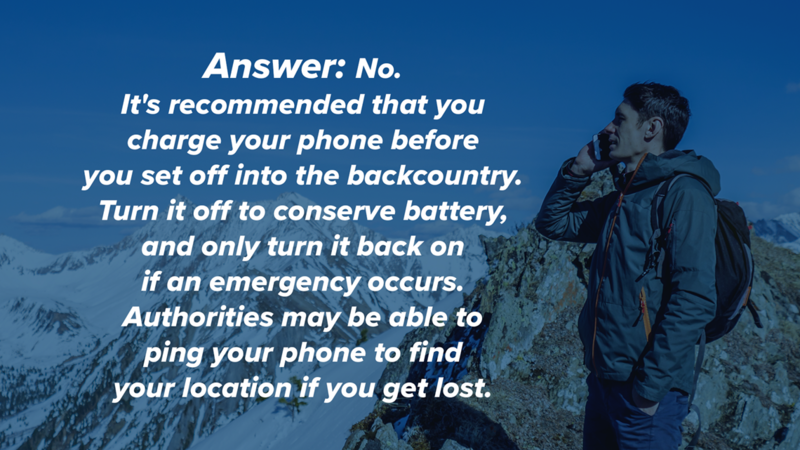 It's recommended that you charge your phone before you set off into the backcountry. Turn it off to conserve battery, and only turn it back on if an emergency occurs. Authorities may be able to ping your phone to find your location if you get lost. How long can you last without food? What about without water or shelter? 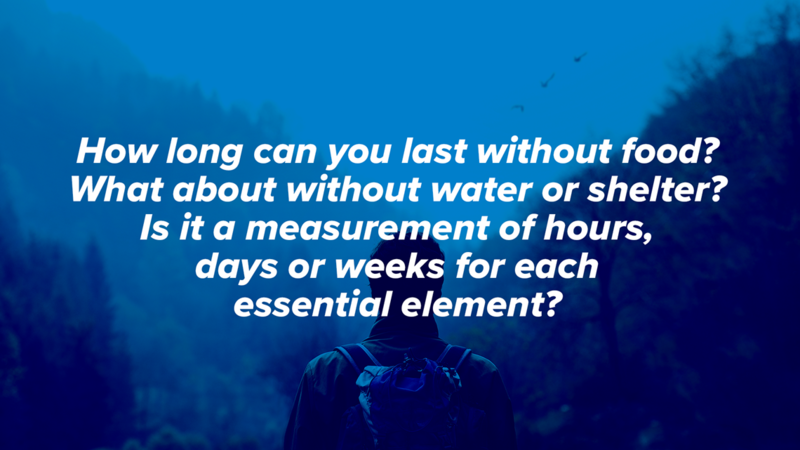 Is it a measurement of hours, days or weeks for each essential element? Click ahead to see the answer. 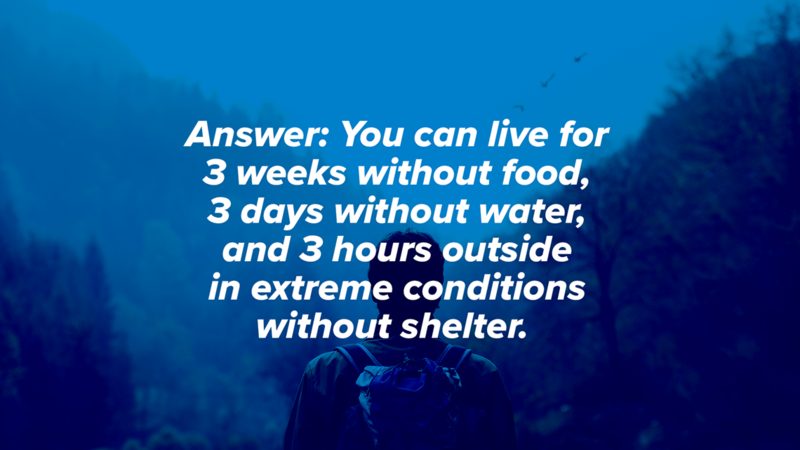 Answer: You can live for three weeks without food, three days without water, and three hours outside in extreme conditions without shelter. 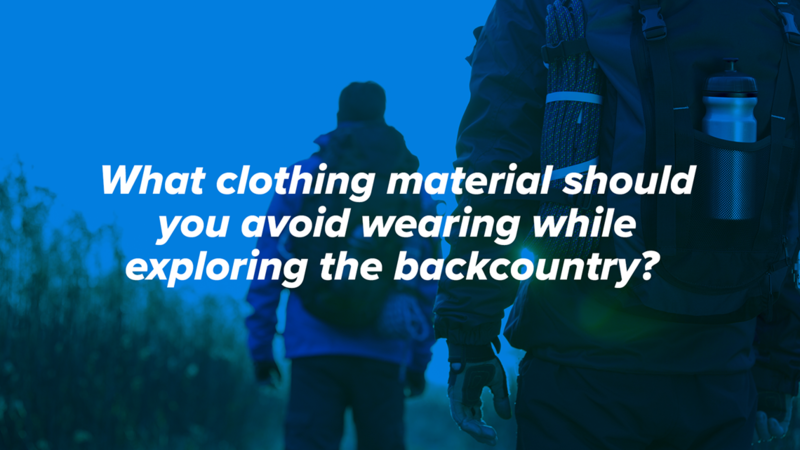 What clothing material should you avoid wearing while exploring the backcountry? Click ahead to see the answer. Answer: Cotton. 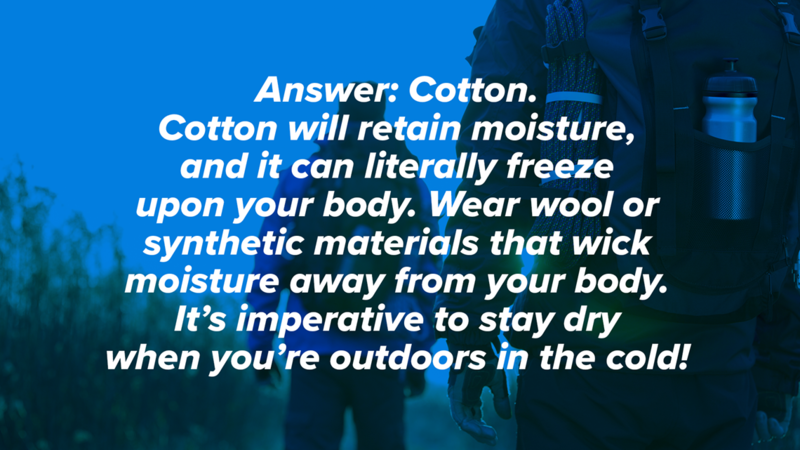 Cotton will retain moisture, and it can literally freeze upon your body. Wear wool or synthetic materials that wick moisture away from your body. It’s imperative to stay dry when you’re outdoors in the cold! 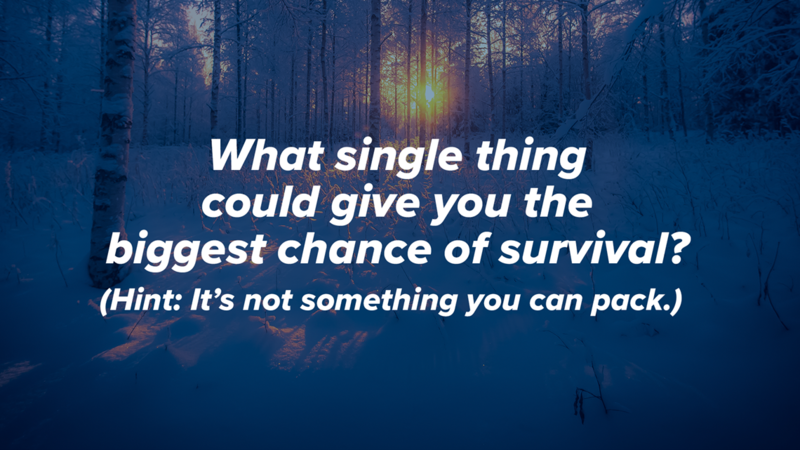 What single thing could give you the biggest chance of survival? (Hint: It’s not something you can pack.) Click ahead to see the answer. 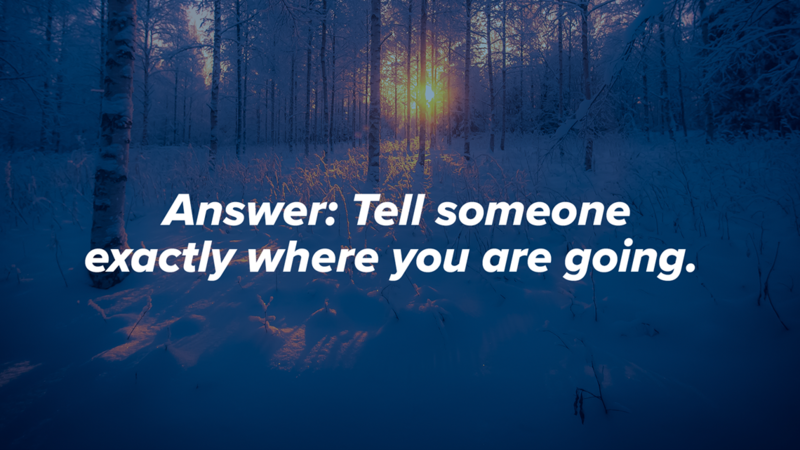 Answer: Tell someone exactly where you are going. One of the most important things you can do to increase your chances of rescue is to tell someone - a family member or friend - where you're going (be as precise as possible) and when you plan to return. 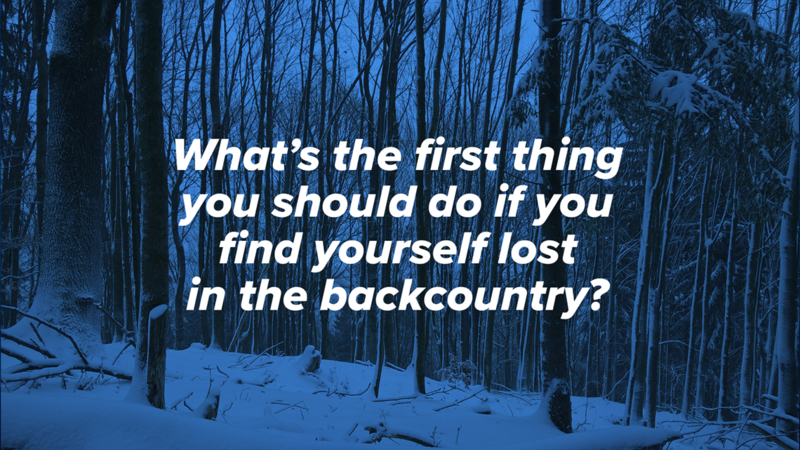 What’s the first thing you should if you find yourself lost in the backcountry? Click ahead to see the answer. Answer: Don’t panic. If you get lost, your life could very well depend on whether or not you keep your wits about you. 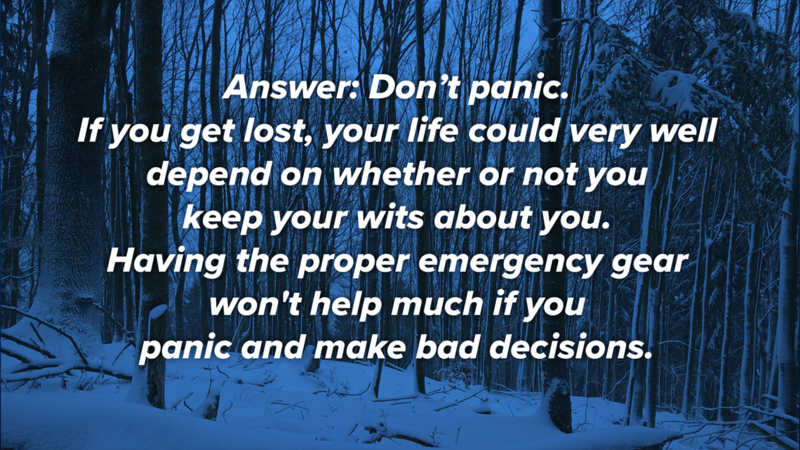 Having the proper emergency gear won't help much if you panic and make bad decisions.